Yesterday I posted up a very informative piece by Michelle Thomasson, on the origins of modern militant Islam, based on McHugh’s book, A Short History of the Arabs. This sees the origins of modern Islamic militancy in the work of the Muslim reformer, Rashid Rida, and the alliance of Muslim religious and political leaders with the Nazis following the foundation of the state of Israel during the British Mandate in Palestine. 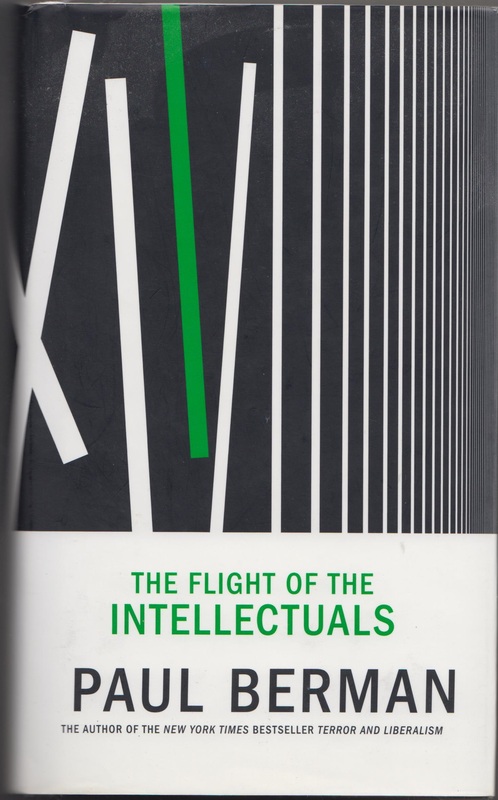 The left-wing American journalist and writer, Paul Berman, says much the same in his book, The Flight of the Intellectuals (New York: Melville House 2010). This is partly an investigation into the career and ideas of the contemporary French Muslim writer and philosopher, Tariq Ramadan. Ramadan’s a highly controversial figure, as while many have found him an admirable spokesman for interfaith dialogue and on social questions like poverty, others consider that far from being a liberal modernist, Ramadan instead preaches a very hard-line, intolerant Islam concealed under a veneer of liberal verbiage. He has, for example, been championed by Ian Buruma of the New York Times, who sees his philosophy, based on traditional, universal Muslim values, as offering an escape from violence. Many of Ramadan’s opponents are liberal Muslims and women, shocked at what they see as his anti-feminism. Another of his opponents is the Lebanese historian, Antoine Sfeir. In addition to stirring up intellectual controversy, Ramadan has also been investigated by the Spanish authorities for possible terrorist connections. Ramadan’s grandfather, Hassan al-Banna, was the founder of the Muslim Brotherhood, one of the leading organisations in the modern Islamic revival, and a nationalist campaigner against the French and British occupying powers. The Muslim Brotherhood taught discipline, obedience and adulation of al-Banna as their Supreme Leader. It also aimed at throwing out the British and other European colonialists, and reviving the former Islamic empire and caliphate. this would include all the nations and countries ever conquered and ruled by Islam, including modern peoples, who had also converted. Al-Banna’s ideas spread from his native Egypt to Palestine, Syria, Sudan and North Africa. They were introduced into Iran in Shi’ite form by the Ayatollah Khomeini and Ali Shariati. They were then exported from Iran to the Shi’a in Lebanon, and then into India and Pakistan by Abul Ala Mawdudi. In Palestine, the Muslim Brotherhood became Hamas, a political party which has used suicide bombers against the Israelis, although al-Banna’s supporters have always defended him from accusations of terrorism. The Muslim Brotherhood has also produced a number of splinter groups, one of which is al-Qaeda. Ramadan has written books presenting his grandfather as a democrat wanting to create a genuine national assembly free of British influence. However, some of his writings suggest he really wanted to create a theocracy, in which Egypt would be governed by Islamic scholars, though after consulting the general public. Other Muslim scholars also believe that al-Banna wanted the establishment of an authoritarian, anti-democratic state. These include Bassam Tibi, a German-Egyptian liberal Muslim, and the Iranian scholars Ladan and Roya Boroumand. Tibi sees al-Banna as the creator of a modern totalitarianism at variance with the traditional teachings of Islam. Critical in the creation of modern Islamic anti-Semitism was Haj Amin al-Husseini, the Grand Mufti of Jerusalem. al-Husseini was at various times the head of the Supreme Muslim Council in Palestine, and chairman of the Arab Higher Committee. He was one of the leading figures in the resistance against the foundation of the nascent Jewish state. In the 1920s, he organised several attacks against both Zionist settlers from the West, and traditional, indigenous Jewish Palestinians, culminating in a pogrom in 1929. He was also partly responsible for Rashid Ali al-Gaylani’s pro-Axis coup in Iraq in 1941, and the launch of a Farhoud, or pogrom, against the Jews in Baghdad. He met with Mussolini and proposed the creation of an Arab Fascist state comprising Iraq, Syria, Palestine and Trans-Jordan. And in 1941 he met the Nazis, including Ribbentrop, Hitler, Heinrich Himmler and Goebbels. He set up the Handzar, or ‘Sabre’ division of the SS, to fight against the Serbs and the anti-Fascist partisans in the former Yugoslavia, as well as exterminate Bosnian Jews. The Nazis employed al-Husseini and Rashid Ali in their Revolutionierungspolitik, or policy of stirring up internal revolutions in order to bring down their enemies from within. The most famous example was during the First World War when Germany sent Lenin into Russia on the sealed train with large sums of money to spark the Bolshevik revolution. The Mufti was charged with translating the Nazis’ anti-Semitism from Europe to Islam. He therefore combed the Islamic scriptures to present a Muslim version of the stupid and murderous conspiracy theories about the Jews circulating in Europe. He therefore created a vast conspiratorial view of Muslim history, in which the Jews had been trying to destroy Islam and the Arabs from the very beginning of Islam to the 20th century. The Jewish state was initially extremely small, and Berman argues that there was little support for it in the Jewish populations of the Islamic world, except here and there in small pockets. Nevertheless, in al-Husseini claimed that the Zionists were aiming to create a gigantic Jewish homeland that would stretch from British Palestine to Egypt and the Persian Gulf. He also claimed that this new Jewish state would also include the north African Arab nations of Libya, Tunisia, Algeria and Morocco. Or they were going to create two homelands, one of which would be the former north African Arab states. These would be colonised by the Jews. The second Jewish homeland, in north Africa, was to be established through the efforts of America, which was already dominated by the Jews. This homeland was to be colonised by Jews and Blacks from America. Britain was also under Jewish control, and, as with Nazism, the Jews were blamed for the creation of Communism. In their propaganda broadcasts on the radio, the Mufti and his followers urged the Arabs to rise up and kill the Jews and their children. Al-Husseini was personally responsible for sending 20,000 Jews to the gas chambers when Himmler wanted to release them as a publicity stunt. The Nazis were also planning the extermination of Egypt’s Jews if Rommel had won. Mercifully, he didn’t, and Montgomery stopped him. If there is ever to be peace, then this poisonous, last reflection of Nazism must also be tackled and destroyed. But just wanted to add that The UK has been openly working with the Saudi’s since the early 1930’s and have been involved in splitting and trying to dominate the Arab world for a very long time. (From the end of WW1 Arabic academics thought the British used Zionism to also accomplish this). From the time that Saudi was established in 1932 (after much tribal rivalry and conflicts) the British have supported the Saudi’s, they did so then because they saw them as a counterforce to the Ottoman Empire and a tool to help the Brits maintain control of oil resources in the region…. I’ve also come across quotations from British officials during the Mandate in Palestine, where they accused the Balfour and other leading British politicians of supporting a Jewish state in Palestine as a way of maintaining British influence in the region. There’s one quotation floating about which compares the Jewish state as it was then to the Ulster Protestants. The British government was accused of using the Jews in the same way that they were using the Irish Protestant community to keep control of part of those respective countries. I’ve also seen another quote by a leading British soldier in Palestine around about the time of the foundation of Israel, who believed that the British government was deliberately fomenting conflict between Jews and Arabs in order to keep them at each other’s throats, and so stop them from uniting against Britain. I’ve already posted a piece supplementing Mike’s excellent pieces over on Vox Political about Michael Gove’s comments in the Daily Mail attacking Blackadder, Oh, What A Lovely War, and ‘Left-wing academics’ for undermining the patriotism, honour and courage of the troops, who served in that conflict. In that piece I pointed out that the bitterness and rejection of patriotism for which Gove reproaches Blackadder was itself a product of the First World War, and that rather than a creation of ‘left-wing academics’, it was based very firmly in the experiences and testimony of the men who fought instead. There is, however, something far more pernicious Gove’s comments about the First World War than simply the knee-jerk resort to patriotism of a True-Blue Thatcherite Tory. This is Gove’s statement that Britain went to war with Germany because of their ‘Social Darwinism’. This simply is not true. Social Darwinist theories were held by people right across the West from the late 19th century onwards, and certainly not just in Germany. There have been a numbers of studies, which have shown that the belief in the ‘economic survival of the fittest’ underpinned much Liberal economic and social theorising, and was used by wealthy magnates, like the Carnegies in America, to justify their opposition to state intervention, welfare, and health and safety legislation. The chattering classes all across Europe and the West also discussed legislation to limit and sterilise the indigent poor and congenitally disabled, in order to prevent them overrunning society and outbreeding their physical, mental and social superiors. These ideas formed the core of Nazi ideology, but they actually predate them. Modern eugenics, by which the unfit were to be bred out through carefully controlled selective breeding, was founded by Francis Galton in England, Darwin’s cousin. In the 1920s 45 American states passed legislation providing for the sterilisation of the congenitally disabled and particularly the mentally retarded. There was a scandal nearly two and a half decades ago at the precise week of Lady Diana’s death, when it was revealed that Sweden had still continued its campaign of sterilisation right in the 1970s. This legislation also predated the Nazis. The Swedish programme’s definition of who was congenitally unfit included sexually promiscuous girls, and members of the Tartare, Travellers rather like the Gypsies. Unlike the Gypsies, they were not considered to constitute a separate ethnic group, who were exempt from the eugenics legislation, and so they, like non-Traveller Swedes, were taken and sterilised. It was only very recently that the Tartare won recognition as an ethnic group in their own right, and so qualified for compensation for their members’ forcible sterilisation. The same eugenicist and Social Darwinist attitudes pervaded British society. Ernest Beveridge, before he accepted the recommendations of the Fabians Sidney and Beatrice Webb and Socialist Medical Society on which the Beveridge Report was based, also shared these views. He believed that unemployment and disability benefits should only be given to men, on the condition that they were sterilised as ‘dysgenic’ due to their inability to support themselves. It was also espoused by sections of the British military. H.W. Koch, in his paper ‘Social Darwinism as a Factor in Imperialism’ in the book The Origins of the First World, edited by Koch himself and published by MacMillan in 1972, demonstrated, with numerous quotations, how Social Darwinism formed part of the expansionist ideology of the British military in the First World War. Leading British generals and admirals advocated war with Germany as it was believed that it was through violent conflict that the unfit were weeded out and organisms and nations evolved further. Gove’s comment that Britain went to war with Germany not only ignores this, but actually falsifies the true situation in that Social Darwinism was found on the British as well as the German side. German historians believe that the First World War was not the fault of their country, but was due to a general move to war across Europe as a whole. This view is generally rejected by historians outside Germany, who believe that the War was caused by Germany’s desire to punish the Slavs for the assassination of Archduke Ferdinand the Second by Gavrilo Princip in Serbia. Nevertheless, the web of alliances that the various powers had constructed across Europe in order to prevent war acted to pull all the various nations, their colonial possessions, and extra-European allies into the conflict. Britain had become increasingly alarmed by growing German economic and military power from the late 19th century onwards. There were a series of early science fiction stories and novels, such as the Battle of Dorking, which foresaw a future German invasion of and conquest of Britain. As a result, Britain engaged in an arms race with Germany to the extent that there were already arms limitation treaties signed in 1905 between the two nations. There were also a number of other factors involved, and I urge those interested to read ‘Sean’s’ comments to Mike’s first article on Gove and his comments about Blackadder. He knows rather more about the war and its causes than I do. He points out that the Italian Prime Minister had a few years before the War prevented it from breaking out, from example. The point here is that Britain certainly did not go to war with Wilhelmine Germany to combat the latter’s Social Darwinism, as it was shared by this country’s own chattering and military classes, but was instead due solely to geo-political questions relating to the balance of power in Europe and freedom and autonomy of Serbia and the other Slavonic nations. To state that it was is to misrepresent the origins of the War, and produce a false, pernicious picture that ignores and covers up the prevalence of Social Darwinist views in Britain and the rest of the world. It presents a nasty, black-and-white image of righteous, enlightened Allies versus proto-Nazi Germans, quite at variance with the reality. Beyond Gove’s ignorance of the causes and spiritual, social and cultural effects of the First World War, there is the wider issue of his attitude to education and particularly the teaching of history. Gove has specifically targeted ‘left-wing academics’ for being, as he appears to see it, unpatriotic. This has been a common complaint of the Tories ever since the days of Thatcher and before, when the Express and Mail regularly carried stories of the ‘loony left’ indoctrinating vulnerable minds with subversive subjects like Peace Studies, and attacking British identity in the guise of anti-racism. I can remember Maggie sneering at one Tory conference about ‘Fabians’ and ‘anti-racist mathematics’. Now there may have been a minority of leftist radicals like that, but most weren’t, and in any case, most teachers are teachers because they want to stand in front of a chalkboard and teach, not indoctrinate their pupils one way or the other. One of the most precious, fundamental qualities in British academia is the freedom to think, debate and argue without having to bow to the dictates of the state. By attacking teachers and the academics, who hold views on the First World War and its origins at variance to his own, Gove has attacked this principle. And this is very serious indeed. Academic freedom is under assault across the world. In Russia last year, Putin passed a law partially rehabilitating Stalin. This piece of legislation makes it illegal to denigrate Stalin as the saviour of Russia during the Great Patriotic War, the old Soviet name for World War Two. Now Stalin did indeed save the Soviet Union, but only after he signed a non-aggression pact with Ribbentrop and was totally unprepared for the Nazi invasion to the point where in the first days of the German assault Russian troops were forbidden to fire back. Far worse than that, the old brute was responsible for the deaths of 30 million Soviet citizens during the Purge. This may be an underestimate, as the true figure is unknown. It could be as high as for 45 million or more. A few years ago the BBC screened a programme on modern Russia, in which the presenter travelled to one of Stalin’s gulags. The place was dilapidated and decaying, but there were still the remains of the barracks, guardhouses and other buildings. Most chillingly, however, there were lying scattered on the ground the bare bones of the inmates, who had been starved, tortured and finally worked to death in that terrible place. Historians and archaeologists are extremely wary about allowing nationalist bias into their work. Every nation has, of course, its own view of history, including its own. The ideal, however, is to produce an objective account free of nationalist bias. It was one of the first things I can remember being taught in history as an undergraduate. And one of the most compelling reasons for avoiding it was the way history was used and distorted by the totalitarian regimes of the 20th century, like Stalin’s Russia, Nazi Germany and Fascist Italy, to justify their brutal, murderous tyrannies. It has also been used to justify the invasion, colonisation and expropriation of the subject nations of the European empires around the world and the racist policies that legitimised the rule of their White masters. Hence the emergence of Historical Archaeology. The name is somewhat misleading, as it does not deal with the archaeology of the broader period for which historical records survive, such as from the ancient world onwards, but rather more narrowly of the period c.1500 to the present day. It’s called Historical Archaeology as it was founded by American researchers, for whom the written history of their country really only dates from the fifteenth century. As a discipline, Historical Archaeology tries to recover the voices and experiences of the subordinate social groups oppressed and subjected by the forces of colonialism and capitalism, who are rarely heard in the written historical accounts – the indigenous peoples, slaves, immigrants and other ethnic minorities, the working class masses and women. It’s an attempt to challenge the official histories produced by the colonial elites, which largely ignored and excluded these groups. Gove wishes to ignore all this, to turn the clock back to what the historian Butterfield called ‘the Whig interpretation of history’, in which British history is one long process of gradual improvement, culminating in democracy and the British Empire. Gove is probably keen on the latter, but I’ve seen absolutely no evidence that the current administration pays anything but lip service to the notion of democracy. History is richer, and far more complicated than this, with frequent shameful episodes and periods when genuine oppression and brutality were all too common, and where it was never clear that the forces of humanity and justice would win. You can look, for example, at the period of vicious political repression that occurred in Britain after the Napoleonic Wars, when the government tried to crack down on anything resembling subversion against aristocratic rule. It was a period characterised by the notorious Peterloo Massacre, when the British army and a squadron of Hussars charged a peaceful demonstration gathered to hear the radical politician, ‘Orator’ Hunt. Or the slave trade and the long campaign against it, which succeeded in outlawing it in the British Empire only in 1840. Real history gives the lie to the Whig Interpretation, and casts very grave doubts over the supposed justice of British imperialism. Gove, however, would prefer that the last fifty years and more of historical scholarship, in which the Victorian view of the correctness and justice of Britain, her society, and her imperial rule, was swept away, to be replaced with a cosily reassuring Conservative version justifying the traditional British class structure, capitalism and its militaristic expansion and invasion of the wider world. He wants to return to a history guided by the old adage, ‘My country, right or wrong’. The best comment I’ve heard on that old saying was by the fictional space detective Nathan Spring in an episode of the BBC SF series, Star Cops, back in the 1980s. In a conversation with the very shifty, patriotic commander of an American space station, the conversation moves on to patriotism and conservatism. ‘My country, right or wrong, eh?’ remarks Spring. ‘There are worse philosophies’, replies the commander. Gove’s attack on teachers and ‘left-wing academics’ is also part of a general, anti-intellectual trend in Conservative politics that’s been around since Reagan and Thatcher. Back in the 1980s, the great American comedian, Bill Hicks in one of his routines used to remark, ‘Do I detect a little anti-intellectualism here. Must date from the time Reagan was elected.’ This attempts to appeal to populist sentiment by presenting a left-wing view of history as a distortion forced upon vulnerable young minds in schools, colleges and universities by subversive left-wing teachers and college and university lecturers. It attempts to present the existing order as so obviously correct, that only out-of-touch, elite liberals, who themselves sneer and patronise the working class, wish to question and challenge. Now, you can certainly find ‘loony-left’ teachers and lecturers of whom this is true. Most teachers and lecturers, in my experience, actually don’t want to indoctrinate young minds with dangerous and subversive doctrines so much as stand in front of a class and teach. Yes, they have their biases, but the goal is to teach an objective history as supported by the facts, although how history is interpreted naturally depends very much on the individual historian and how they see the past. Gove wishes to jettison all this, and replace academic freedom, in which the accepted view of events can be freely examined and questioned, with a Conservative, patriotic view dictated by the state. It’s an attack on the very core of academic freedom. Its the mark of an insecure political elite, who fear any questioning of their authority and their view of history. And if left unchallenged, will end with Britain becoming like Russia and so many other nations around the world, where children are taught only the official history, and the nation’s shameful actions and periods are ignored. In many of these nations, those that challenge the official view of history can be subject to intimidation and imprisonment. The Turkish novelist Orhan Pamuk, for example, has been imprisoned for insulting Turkish nationhood, because he said the country ought to admit to its culpability for the Armenian massacres. Gove’s view of history and his attack on academic freedom threaten to bring Britain close to that state. Unfortunately, the Tories do have form for trying to use the law to purge the educational system of those, whose political views they do not share. A friend of mine, who was very much involved with his student union at Uni, informed me that in the 1980s Margaret Thatcher passed legislation intended to bar Marxists from holding posts at university. In the end, the law proved an unworkable dead letter, at the Marxists at whom it was aimed simply declared themselves to be ‘Marxian’, instead. They weren’t Marxists, but had a culture based on Marx. Hence they were exempt from such legislation. It was a very fine legal point, and some would say that it was a difference without distinction. Nevertheless, it did what it was intended to do and they kept their jobs. Now I am aware of the reasons why Thatcher attempted to stop Marxists teaching at university, and the arguments that have been used to support it. Communist regimes around the world, from the Soviet bloc to China, have murdered millions. The argument therefore runs that if the extreme, racist right cannot be tolerated in academia because of their guilt for the murder of millions, and the murderously illiberal and intolerant nature of their doctrines, then neither should the extreme Left, who are equally guilty of such crimes. Nevertheless, there is a danger that when states start introducing legislation to regulate, who teaches in their schools and universities, based on their personal religious or political beliefs, then a step is taken towards further state control of what their citizens are allowed to think and believe, and freedom suffers. There is, rightly, legislation in place to prevent teachers and university lecturers indoctrinating their students with their personal religious or personal beliefs. Nevertheless, schools and universities are also places where students are encouraged to think for themselves, to explore different views and perspectives on particular issues, and make their own decisions. And given the immense contribution certain elements of Marxism have made to various academic disciplines, regardless of the merits or otherwise of Marxism itself as a political creed, it is only right and natural that Marxists should be allowed to teach and publish at universities, provided they too abide by the rules of open debate. Baroness Thatcher attempted to use the law to close this down. And Gove with this rant about Blackadder and ‘left-wing academics’ has attempted to go some way towards following her. If you value academic freedom, and right of everyone in academia to be able to teach and research, regardless of their political views, so long as they can support their views with fact and logical argument, then Gove’s latest rant, and his desire to indoctrinate young minds with his narrow view of history, must be resisted to the utmost. Anzacs at Passchendaele, 1917, the battle described by A.J.P. 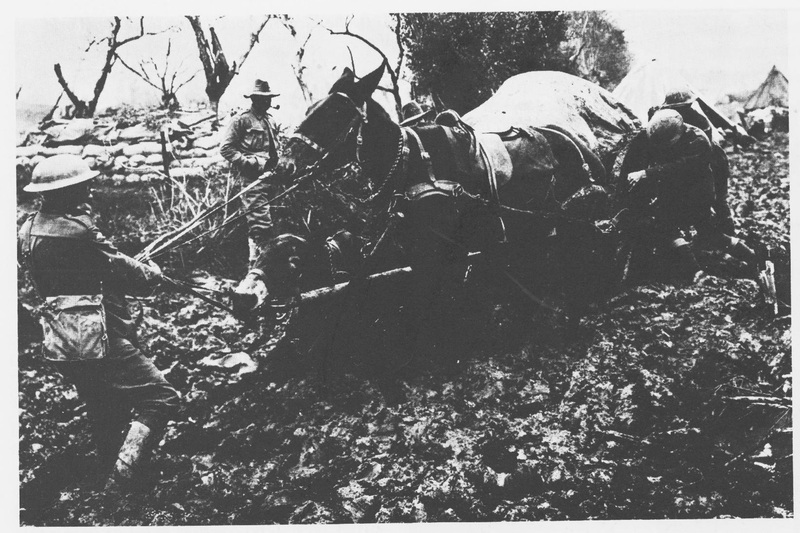 Taylor as ‘the blindest slaughter of a blind war’. I’ve reblogged two of Mike’s articles on Vox Populi on Michael Gove’s latest attack on history and the received view of the First World War. In an interview in the Daily Mail, Gove criticised shows like Blackadder and the film, Oh, What A Lovely War!, for presenting the wrong view of the First World War and denigrating the courage, honour and patriotism of the men who fought there. It is, he said, the fault of left-wing academics, and seems particularly incensed at the cynicism and rejection of patriotism in the above TV series and film. Now, Gove does have something of a point here. Recent scholarship within the last 30 years has criticised the old view that there was a profound gulf between the officers and the working-class men they led, and pointed out that there was more mutual comradeship, acceptance and respect between the two groups than previously considered. I was also told by a very left-wing friend, who has absolutely no time for the Tory party, that the amount of cynicism and bitterness generated by the War has been overstated. Of the men returning from the War, 1/3 bitterly hated it, 1/3 thought it was a good adventure, and 1/3 had no strong feelings about it one way or the other. The same friend also told me that on the Western Front, the death rate was actually lower than in contemporary Edwardian factories. His comment on this was simply: ‘It’s sh*t.’ This does not exonerate the mass carnage of the First World War so much as show you how immensely cheaply life was held by the Edwardian factory masters. As for courage, George Orwell freely admitted in one of his essays that this was amply demonstrated by the numbers of the titled aristocracy, including dukes, knights and baronets, whose lives were ended in that savage conflict. He called the militaristic anti-intellectual upper classes ‘blimps’, and had nothing but scorn for their conduct of the War, but he did not doubt their courage. The same friend, who knows far more about the First and Second World Wars than me, also told me that he felt that much of the cynicism about the First World War was a projection of the feelings of bitterness and alienation felt by many people after the Second, when the horrors of War and the Nazi regime seemed, to many, to discredit completely European culture. I dare say there is something in this, but, while the extent of such alienation after the First World War may have been exaggerated, the point remains that it was there. Already in the 1920s there were complaints from British officers about left-wing propaganda about the War being spread by ‘acidulated radicals’. The film, Oh, What A Lovely War! is written from a left-wing perspective. It was based on the stage play, Journey’s End, which in its turn was based, I believe, on the experiences of First World War soldiers. The Fascist movements that sprang up all over Europe after the War, including Oswald Moseley’s BUF in Britain, were formed by ex-servicemen unable to adapt to civilian life, and who believed they had been betrayed by a corrupt political system. Martin Pugh in his book on Fascism in Britain 1918-1986, repeats that Moseley himself represented and kept true to the servicemen, who had fought and suffered in the War, and now had little to look forward to on their return to Blighty. I’m not so sure. Much of the conventional view about Mosely put out by Skidelsky’s biography has since been demolished. Rather than being a misguided, but at heart decent man, Moseley himself now appears very firmly as a cynical political manipulator all too eager and ready to jettison Mussolini’s ultra-nationalist, but originally non-racist Fascism, for the Nazis and Hitler. Nevertheless, the point remains: the First World created widespread bitterness, of which European Fascism was one expression. As for Blackadder, this can be compared to the grim reality and the gallows humour with which British squaddies and their officers faced it in the pages of the Wipers Times. This was the servicemen’s newspapers, which took its name from the British mispronunciation of ‘Ypres’, where it was published. Private Eye’s editor, Ian Hislop, last year published a book and appeared on a BBC documentary about it. The Beeb also broadcast a drama about it. Hislop stated that it was full of very, very black humour, and was very much like Blackadder. You could hear the same sentiments expressed in the trooper’s songs of the period. Everyone remembers ‘It’s a Long Way to Tipperary’, but there were others with much less patriotic view of the War. A year or so ago I came across an old songbook, Songs that Won the War. Published about the time of the Second, it collected the songs sung by the troops during the First. Amongst the various patriotic ditties was ‘We Are Fred Karno’s Army’. Fred Karno, remember, was the Music Hall impresario, who launched the career of silent move stars like Charlie Chaplin and the Keystone Kops. The final verse imagines how the British army will be greeted by the Kaiser when they finally reach Berlin. It has the Kaiser looking at them in horror and saying, ‘Vot, Vot! Mein Gott! Vot a shabby lot!’ Somehow, I don’t think that one has been played much at Tory party conferences. Civilian music hall stars also shared in the deep disillusionment felt by the troops. In a programme on the Music Hall broadcast several years ago on Radio 4, the programme’s presenter, a historian of the Music Hall, noted that after the War variety stars became much more sombre in appearance. Before the War there were stars like ‘The One-Eyed Kaffir’, a White man, who blacked up for his act except for one eye, which was kept as a white patch. After the War, such grotesque make-up vanished. The presenter felt that this was part of a general, more sombre mood throughout British culture engendered by the War. This mood was felt most bitterly by some of the Music Hall stars, who had sung patriotic, jingoistic songs to encourage young men to do their bit and join up. One such singer became very bitter indeed, and stated that he felt personally responsible for the men, who had been maimed and murdered as a result of listening to him. ‘I am making this statement as an act of wilful defiance of military authority, because I believe that the War is being deliberately prolonged by those who have the power to end it. I am a soldier, convinced that I am acting on behalf of soldiers. I believe that this War, on which I entered as a war of defence and liberation, has now become a war of aggression and conquest. I believe that the purpose for which I and my fellow soldiers entered upon this War should have been so clearly stated as to have made it impossible to change them, and that, had this been done, the objects which actuated us would now be attainable by negotiation. I have seen and endured the sufferings of the troops, and I can no longer be a party to prolong these sufferings for ends which I believe to be evil and unjust. I am not protesting against the conduct of the War, but against the political errors and insincerities for which the fighting men are being sacrificed. On behalf of those who are suffering now I make this protest against the deception which is being practised on them; also I believe that I may help to destroy the callous complacency with which the majority of those at home regard the contrivance of agonies which they do not share and which they have not sufficient imagination to realise’. The last line sounds very much like a condemnation of the invasion of Iraq and the Neo-Con ‘chickenhawks’ – men who had themselves never seen active service and who indeed had shirked it – that demanded it. And I’ve no doubt whatsoever that it’s applicability to this situation was one of the reasons Arnove and Firth selected it. As for Owen, I can remember we did Owen’s poem, ‘Gassed’, in English. This describes the horrific state of squaddies left dying and blinded by mustard gas in conflict. It ends with words attacking and repudiating ‘the old lie, ‘Dulce et decorum est, pro patria mori”, a Latin motto meaning ‘It is sweet and right to die for one’s country. So there it is, Gove, a rejection of patriotism because of the carnage and suffering it caused, by two extremely courageous men, who fought and were injured in the War. I believe Owen was himself killed just before Armistice. Oh, you can argue that Blackadder is based on the prejudiced view of left-wing academics, but they based their views on fact – on what those who actually fought in it actually felt about it. Yes, historians modify their views about the past all the time, as new research is done, and new arguments brought forth, new topics emerge and techniques used. And that means that some of the bitterness about the War has been revised. Yet there is no doubt that the War did result in mass bitterness amongst former combatants and the civilian population, and feelings of betrayal by the old society and elites that had sent so many to their deaths. Blackadder is fiction, and throughout its four series and numerous specials often took wild liberties with the facts. Yet Blackadder goes forth and its cynicism was based on fact, and I found, as someone who simply watched it, that the final moments of the last episode, in which Blackadder, Baldrick and their friends go over the Top to their deaths, actually a genuinely moving and respectful tribute to those who did die in the muck and trenches. Way back in the 1980s the Observer wryly remarked that the Tories were now ‘the patriotic party’. This followed Thatcher’s vociferous trumpeting of patriotism as the great British value. ‘Don’t call them boojwah, call them British!’ screamed one headline from the Telegraph supporting her very class-based, politicised view of Britishness and patriotism. Well, a wiser man, possibly, the great Irish wit, dear old butch Oscar (pace his description in Blackadder) once described patriotism as ‘the last refuge of the scoundrel’. In this case, it is. And so is Gove. The M Shed museum in Bristol is also the venue for a series of public seminars on various aspects of the city’s history. These are held jointly by the Museum and the Regional History Centre at the University of the West of England. UWE is Bristol’s second university. It was formerly Bristol Polytechnic. I took my MA there, and it does have some extremely good, lively teachers. Many of them had a background in women’s and social history. I can remember that one of the courses run by the history department is on the Slave Trade, taught by Madge Dresser. Dr Dresser has also organised conferences at the university on the subject, and was one of the organisers of the ‘Respectable Trade’ exhibition on Bristol and the slave trade way back in the mid 1990s. Other courses included Bristol Corporation of the Poor, which looked at the operation of the poor law and the workhouse in Bristol from its establishment in the mid-17th century to its abolition in the 20th. Andrew Flack (University of Bristol), Animal Commodities: Bristol Zoo, the Wild Animal Trade and Imperial Networks in the Nineteenth Century, Thursday 19th June 2014. ‘1910 witnessed a renewed outbreak of industrial strife in Britain, as significant sections of the trade union rank-and-file began to express their frustration at the lack of progress made in their struggle for better working conditions and a new social order. Strikes reached levels not seen since the ‘new unionism’ upsurge of 1889-92. Workers unrest combined with clashes over Home Rule for Ireland, and the militant tactics of Suffrage campaigners, which added to the problems of the ruling class. Confronted by these parallel rebellions, the ruling class feared their convergence, and some warned of the dangers of revolution. The pamphlet notes that Mike Richardson, who gives the talk, is a Visiting Research Fellow at the Centre of Employment Studies Research at UWE. The seminars run from 18.00 – 19.30, or from 6 O’clock to 7.30 in the evening. Admission is free. M Shed is down on Bristol’s docks. It’s at Princes Wharf, Wapping Road, Bristol, BS1 4RN. A friend once described the Coalition’s policies to me as ‘Socialism for the rich’. He’s quite right, of course. Under Socialism, the resources of the state are used to improve conditions for the poorest members of society. Since Thatcher, however, this situation has been completely reversed. The power of the state has been used instead to enrich the wealthiest and most powerful, while further grinding down and impoverishing the poorest. You can see that in the way immense tax breaks have been granted to the extremely rich, while companies have been given lucrative government contracts and subsidies for providing essential, including the management of state-owned organisations and parts of the civil service. These include the railways, parts of the NHS, the police service, and the welfare infrastructure, now being mismanaged by Serco, G4S and ATOS. The poor, on the other hand, have seen their state support, in the form of welfare benefits, cut and the services they use privatised and placed in the hands of the private sector. It seems the Coalition have a strategy of finding a Socialist policy, and then inverting it to use against the very people it was designed to help. The bedroom tax is an example of this. Something similar was to the fictitious ‘bedroom’ subsidy was in fact proposed in Germany in the 1920s by the USDP – the Unabhangige Sozialdemokratische Partei Deutschlands, or the Independent German Social Democrats. They were a Left-wing, but Non-Communist, Socialist party that had split from the Social Democrats over their alliance with the bourgeois parties and use of the paramilitary Freikorps units to put down the Council Revolution that had spread through Germany and Central Europe in 1919. One of the policies adopted by the USDP was that legislation should be passed, forcing homeowners to take in the homeless. This use of state power over the homes of private individuals may now appear shocking to a British public, raised on the Thatcher ideal of popular home-ownership. On the continent, however, most people live in rented accommodation. At the time, houses were split into multiple occupancy, with different families occupying different rooms within the same house. The poorest could be crammed into single rooms, such as the mother of one of the child victims in Fritz Lang’s cinematic classic, M. Twenty years ago one of the journalists in the colour section of the German newspaper, the Frankfurter Allgemeine, went back to visit Silesia. This was one of the two ‘arms’ of Germany to the north and south of Poland, which had been granted to the new country after World War II, and its German population expelled. The journalist had been one of those 1 1/2 million people, who had been forced to move to the new German borders further west. On his visit to his former home, he managed to find his old neighbourhood and its building, reminiscing about the various families that had shared the house in which he had lived as a boy. The legislation proposed by the USPD would therefore have been used against landlords as an attempt to solve the housing crisis that afflicted many countries, including Britain, after the World War I.
Mike over at Vox Political and a number of other, great Left-wing blogs have pointed out that the so-called subsidy the Coalition claims was granted to council tenants with a spare bedroom is entirely fictitious. It never existed. The claimed rationale for ending it, is that it would either force tenants with an extra, unused room to take in a lodger, or else free up council properties to be used by those, who really need such extra rooms to house their members. In fact it’s simply another ruse to slash welfare spending, and at the same time penalise those in council housing. In fabricating their pretext for doing so, the Tories have clearly taken the same idea as that proposed by the USPD, and then turned it backwards so that it affects and penalises not the prosperous rich, but the poorest and most in need of state housing. It is another example of the Coalition’s ‘Socialism for the Rich’. I wondered if we should not, in fact, return to the spirit of the USPD’s original legislation. Cameron and the Old Etonian aristos and members of the haute bourgeoisie, who adorn his cabinet and Tory Central Office are, after all, public servants. They are paid salaries and expenses by the state. They are also very wealthy individuals, whose homes no doubt match their inflated incomes. This also applies to the heads of the companies contracted to run what little remains of the state infrastructure. These state should similarly have the right to force them to open up their mansions to the poor and destitute. David Cameron this week made a speech declaring that working-class children should raise their aspirations. Well, what better example can Cameron set for the new, aspiring, socially mobile working class he envisions, than for he and his colleagues to give a place at their firesides to the homeless and Job Seekers. The radical journalist Cobden believed that one of the causes of the unrest and dissatisfaction rife in early 19th century Britain was due to the breakdown of the hospitality farmers traditionally gave their workers. In traditional agricultural society, these ate and lived with the farmer himself, and so master and servants shared bonds of familiarity and loyalty. By the time Cobden was writing, this had broken down, and Cobden believed that their banishment from their master’s house and table was a major cause of class discontent. Surely, as someone determined to restore the great traditions of British society, Cameron should be the first to return to this great custom, and offer his own home as residence to Britain’s new poor as a good, paternalistic master in this century?